Nailah & Tim - 28th & 30th March 2019 pt 2 - Wedding! There is so much I could say about the beautiful wedding day. The location was stunning (https://www.moorparkgc.co.uk/) and every detail was considered. Nailah looked beautiful in her 2 saris and the love was apparent in every moment. I'll let the photos do the talking :) Or in this case, the video Thank you to Nailah, Tim, their family and friends for a brilliant few days and for looking after me so well - it was an absolute pleasure to share your special time with you. This session was a treat for me - I used to work with Caz but hadn't seen her in at least 6 years, it was so lovely to see her (and her wider family) and catch up with all of the news. We had arranged the photo session at beautiful Virginia Water to celebrate Darren's Mum's birthday. With a big group of people, including 4 children, it was great to be somewhere with lots of outside space. There were lots of paths to explore and trees to climb and we had a brilliant time exploring the area. Big thanks to Caz, Darren and their wider family with an extra special "Happy Birthday!" to Cheryl! Back in September last year, I ran a giveaway across both my Facebook and Instagram pages with the prize of a family photo session. 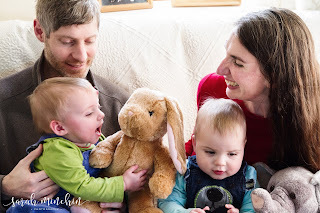 Katharine was one of my winners on IG and yesterday we got together to take some photos of her lovely family. I've known Katharine for a few years but haven't had the chance to spend much time with her husband, Richard, or their gorgeous boys. I was surprised at how confident Master T was in front of the camera and little J was utterly adorable (what a character!) As is traditional during my sessions at Coombe Hill, we walked around to the open areas and the monument. It was a bit cloudy to see much of the view and rather windy so we didn't stay there for long. We then moved to the sheltered woodland playground - always fun with little ones! A big thank you to Katharine and family, I hope you love your photos. Michelle was the winner of a gift voucher I donated to a school Summer Fete and she was really pleased to get a free session with me. We'd already had to reschedule our date once due to bad weather so we were relieved that it stayed dry for our time together at Coombe Hill. It was a very Autumnal scene and the leaves were beautiful, despite the overcast day. Miss M was very confident in front of the camera and really enjoyed climbing trees while I snapped away. She was also very good at finding good spots for photos, I think I need to hire her as a location scout (spot the costume change!) It was a bit misty for the traditional shots on the monument and in front of the view but we tried our best. We then enjoyed some quality photo-bombing (and a trip to the woodland playground) on our way back to the car park. Big thanks to Michelle, Alex and Miss M for the fun, I hope you love your photos! When Dave's wife, Tracy, hired me to take photos at his 50th birthday party, she explained that the family had been through a tough year and really needed a celebration together. The party had a Mardi Gras theme and was full of entertainment, there was a magician and a lounge singer who was leading everyone in a big sing-along! There was lots of singing and dancing, everyone was having a brilliant time celebrating Dave's milestone birthday. I regularly felt a tap on my shoulder as people grabbed the opportunity to have a photo with family and friends. There was such an atmosphere of joy and celebration! Tracy had warned me that the final act was going to be a surprise and she wasn't wrong, the amazing drag Queen (I think her name was Lady B) really stole the show and got everyone dancing. I left Dave and Tracy enjoying the chance to dance together. Happy 50th, Dave! On a busy Saturday, I met up with Elizabeth and her gorgeous family (and dog!) at my favourite location - Coombe Hill. We were really fortunate with the weather and enjoyed acorn-hunting, dog-chasing and quite a bit of tree-climbing. The girls hadn't been to Coombe Hill before and excitedly ran ahead to see the famous monument. It was really windy at the top but very refreshing! On the way back to the car park, we popped into the wonderful woodland play area. The light was fading but the girls still had lots of energy. Huge thanks to Elizabeth and family, it was great to spend an hour with you. Hope you love your photos! Look at these gorgeous happy faces! I've known Louise and her family since they moved to the area and Miss A joined littlest monster's school. When she spoke to me about a family session, I knew it was going to fun. We met in the leafy churchyard of St Mary's in Thame and enjoyed the shade before walking along the Old Crendon Road and taking part in the obligatory game of Pooh-sticks (can you tell who won?!) We then moved onto the fields by the River Thame which are perfect for cartwheels... ... and chasing! We also enjoyed dragonfly spotting by the water. A huge thank you to Louise, Colin and Miss A for a fun hour in the sun. I hope you love your photographs.